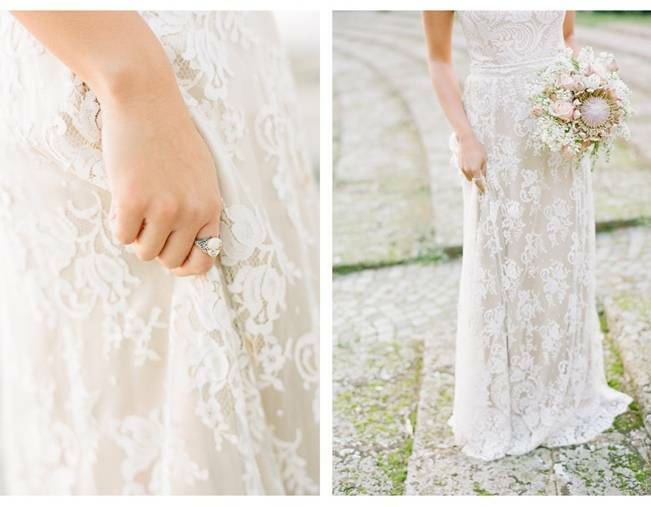 I have a beautiful treat for you all today! 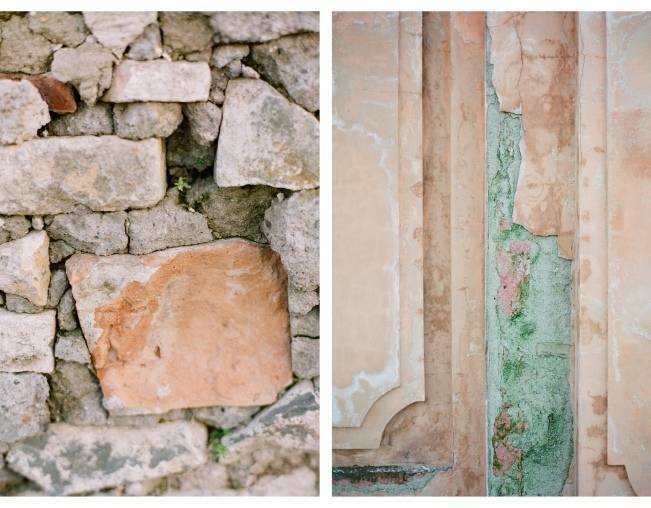 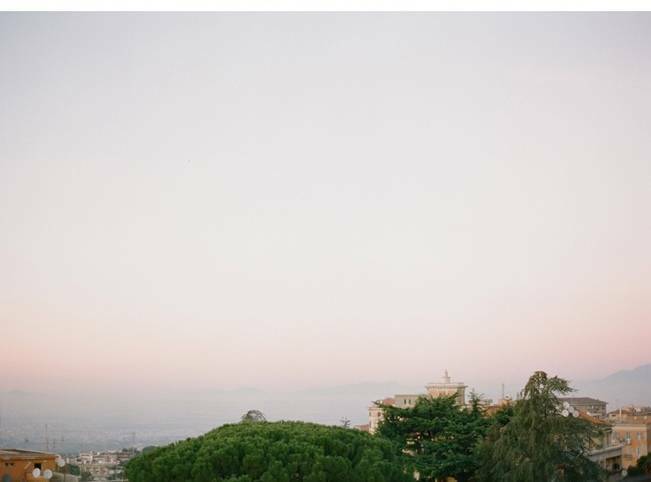 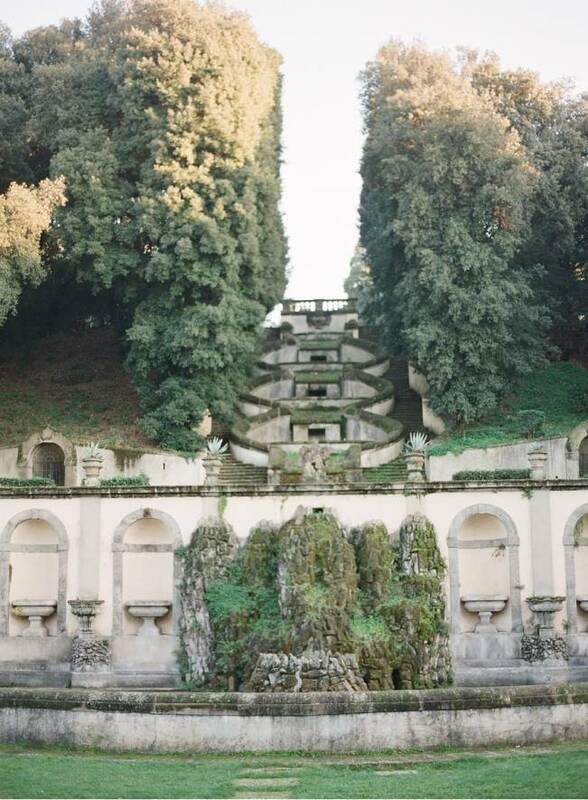 These images, by Buffy Dekmar, are glowing with Italian light and will have you wanting to hop on the next plane to Rome. 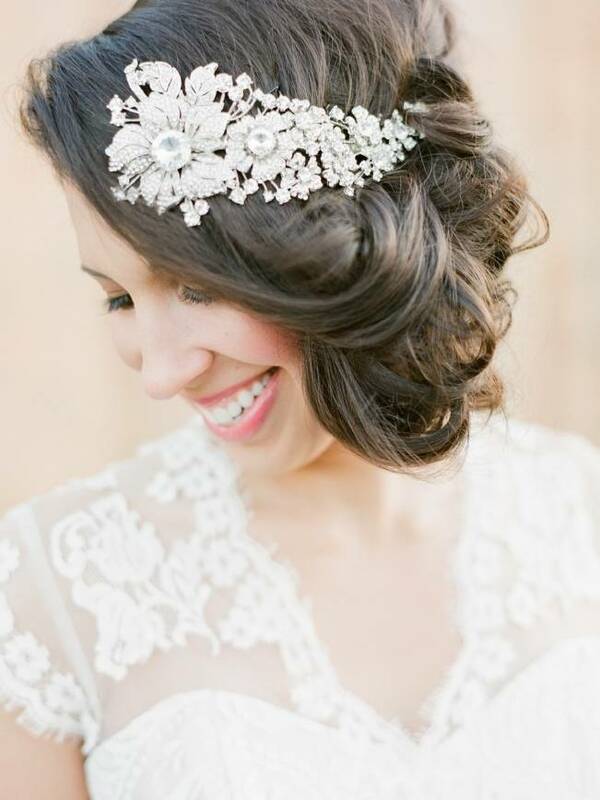 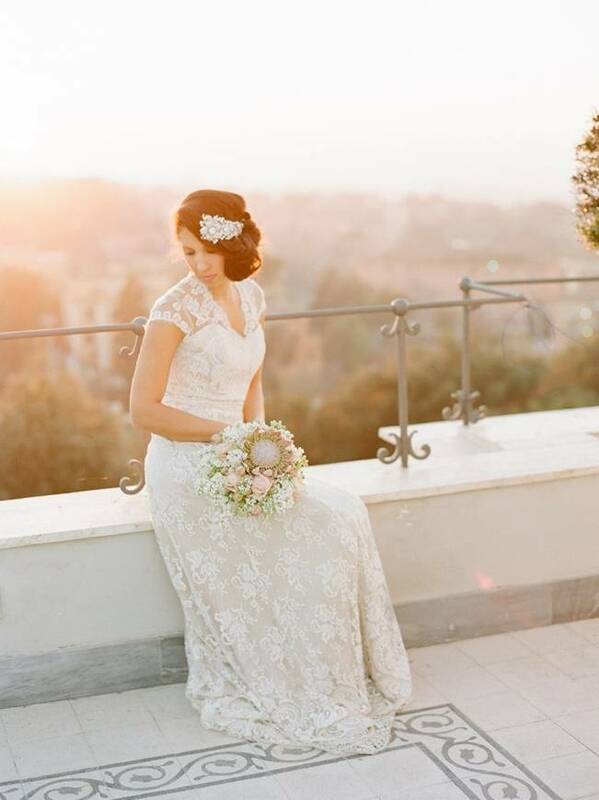 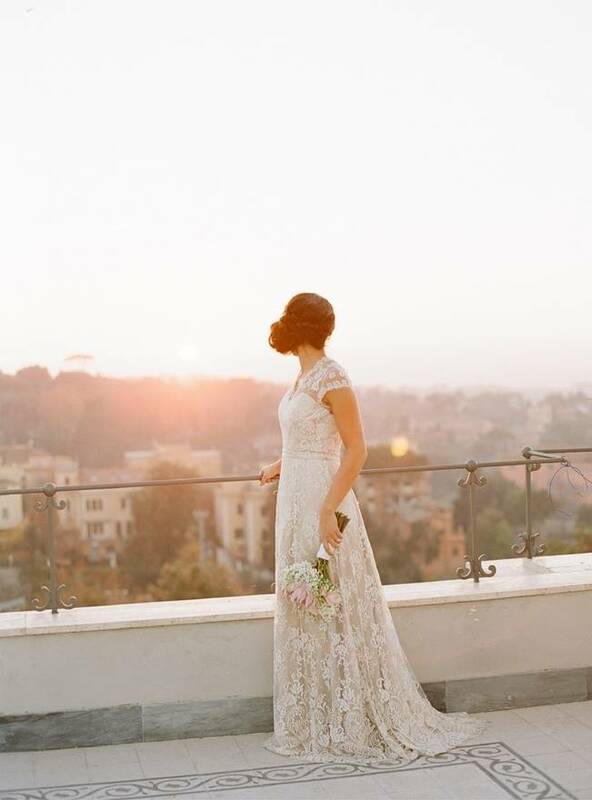 I love everything about how this bride has been styled, from her breathtaking headpiece by Fine and Fleurie and side-swept updo, to the lace Chaviano Couture gown and stunning bouquet by Bo Boutique featuring a pastel protea. 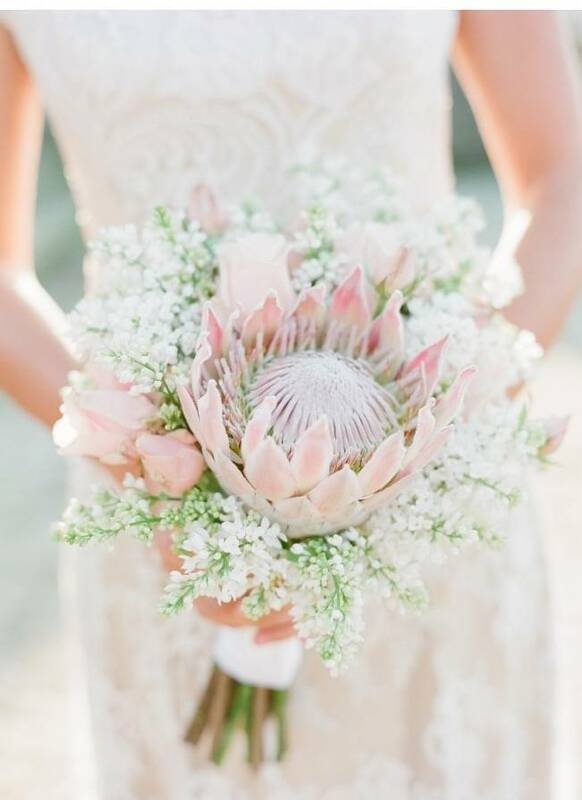 Aren’t protea’s amazing!? 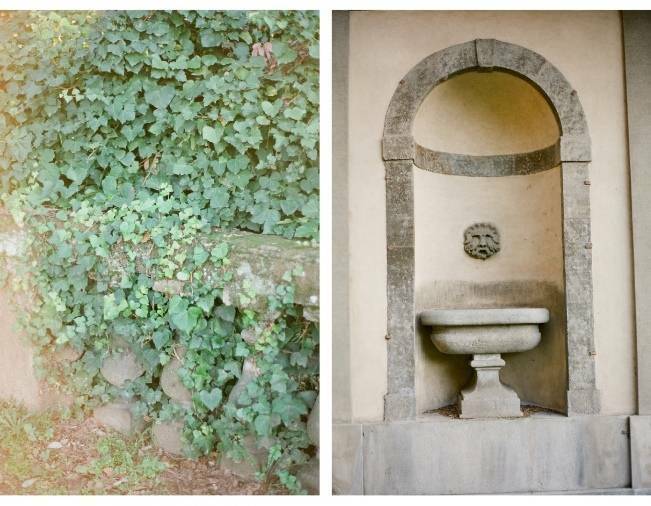 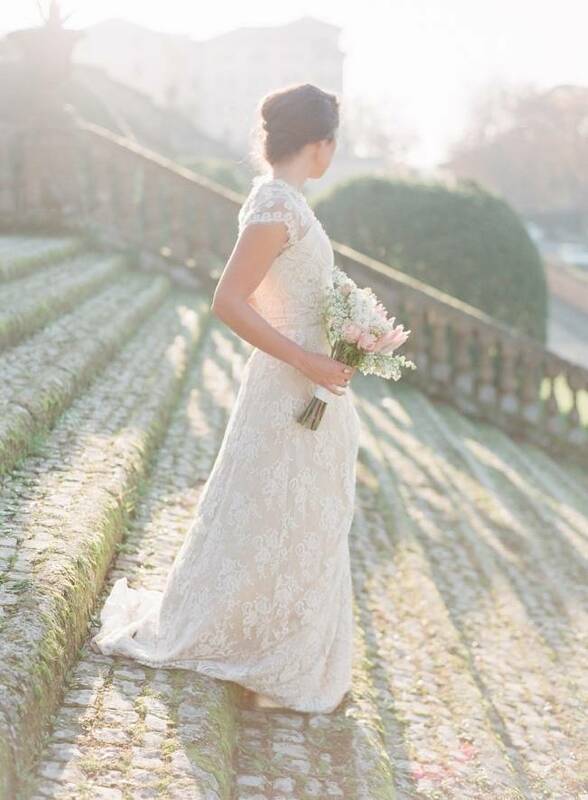 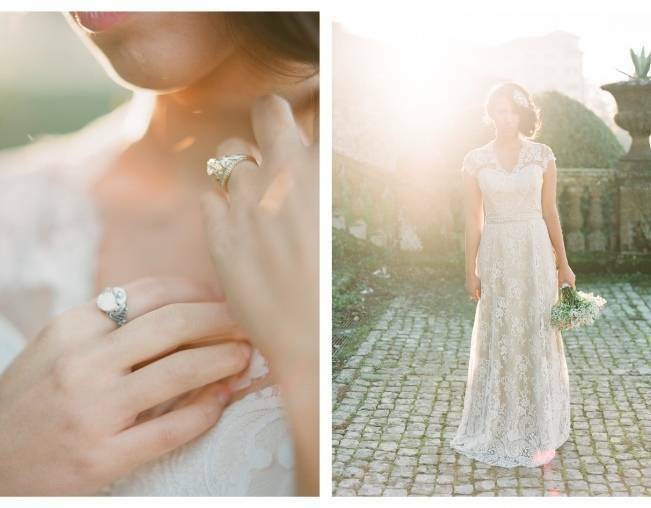 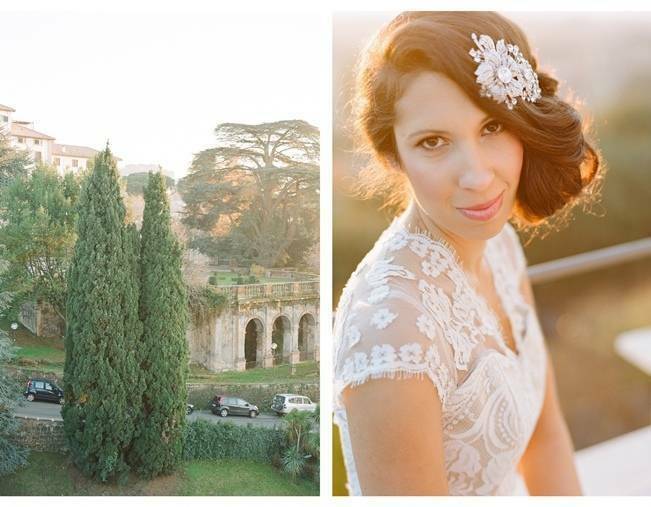 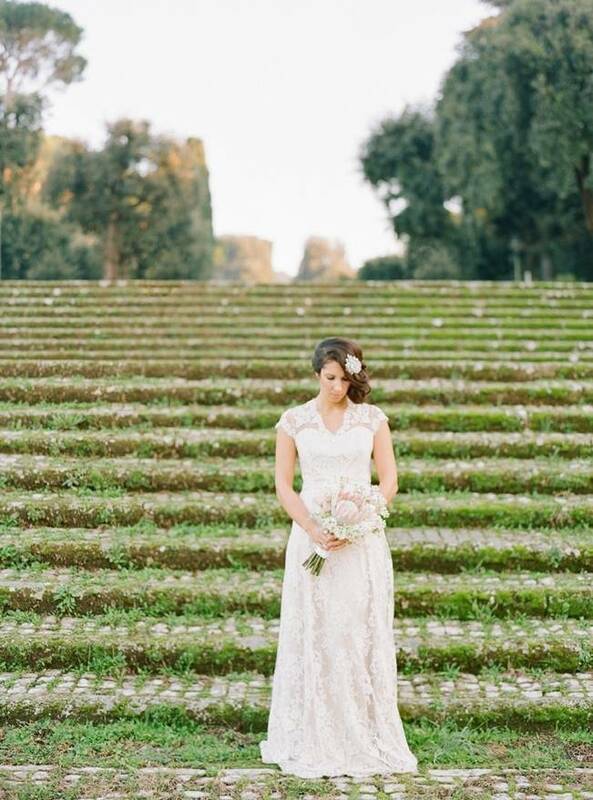 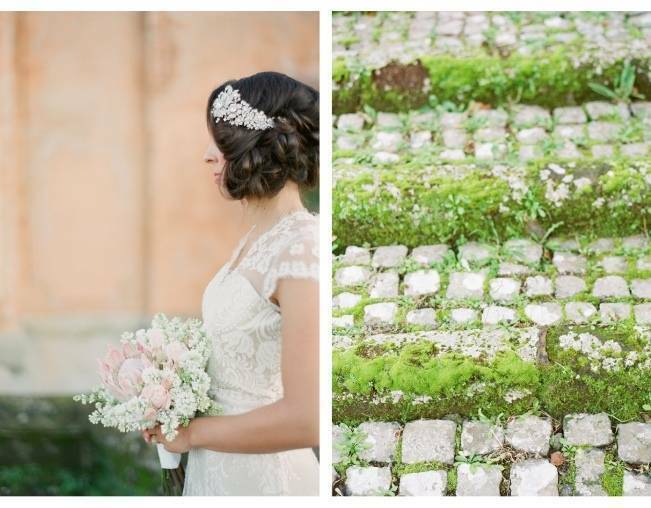 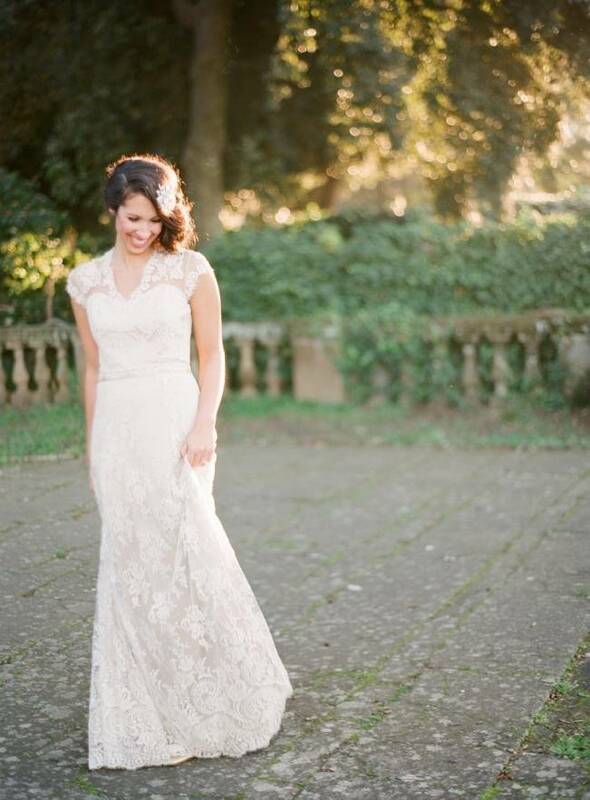 These romantic, light, dreamy details are perfect inspiration for any garden wedding whether it be in Rome, or your own backyard.